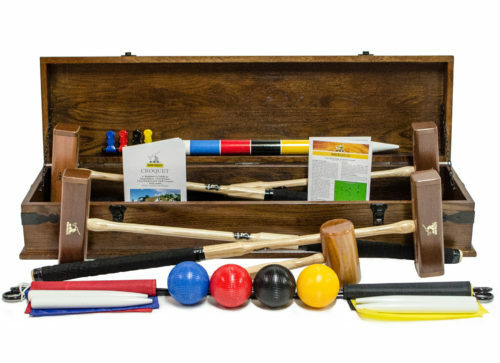 This is the very pinnacle of croquet sets. Each Signature set is custom made with an oak storage chest finished to the highest standard. Laser engraved brass plates can be fitted to the lid if required. 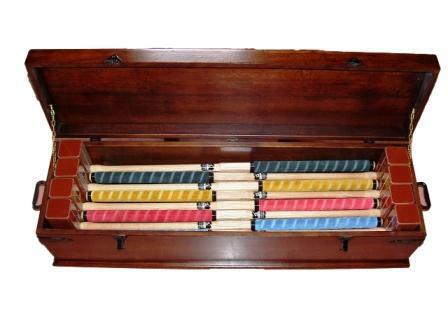 Contains: 4 x 36″ Original mallets fitted with black Mazon cushion grips fitted. 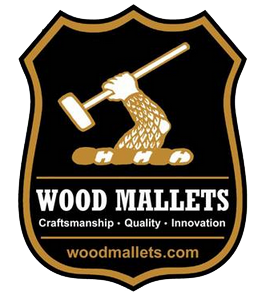 Mallet specifications normally supplied are all 3.00 lb x 36″ overall unless otherwise requested. Initials in gold foil may be printed on the mallet heads at no extra charge. 6 x Championship powder coated white iron hoops supplied in a separate wooden box. Set of 4 corner flags + 4 corner pegs to mark the baulk line. Colour 24 page book of rules and tactics plus a laminated quick reference card. 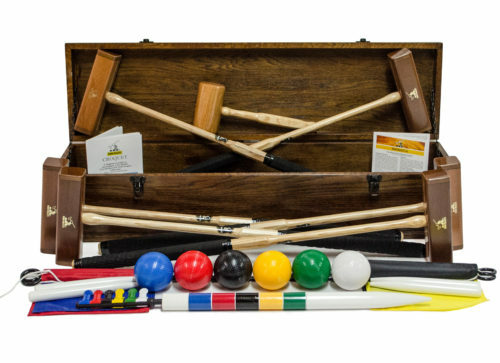 A Signature set is a truly magnificent croquet set.